On the back of the paper, trace your letter backwards. -Cut out the paper letter just inside the line you traced. 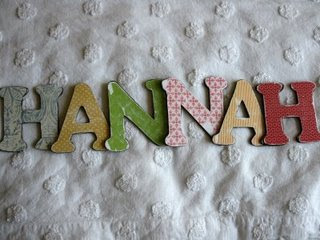 -Paint the edges and sides of your letters brown. 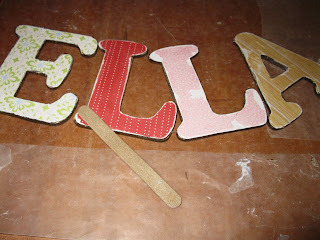 -Coat the wooden letter with the Modge Podge. -Apply your cut-out paper letter. -Smooth out bubbles. -Allow to dry. -Now take your emery board and distress that baby! Concentrate on the edges and tips. 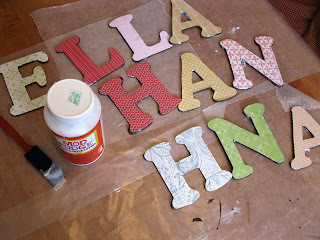 -Apply another coat of Modge Podge or two to the paper and wood to protect it. - Attach some ribbon to the back to hang it.